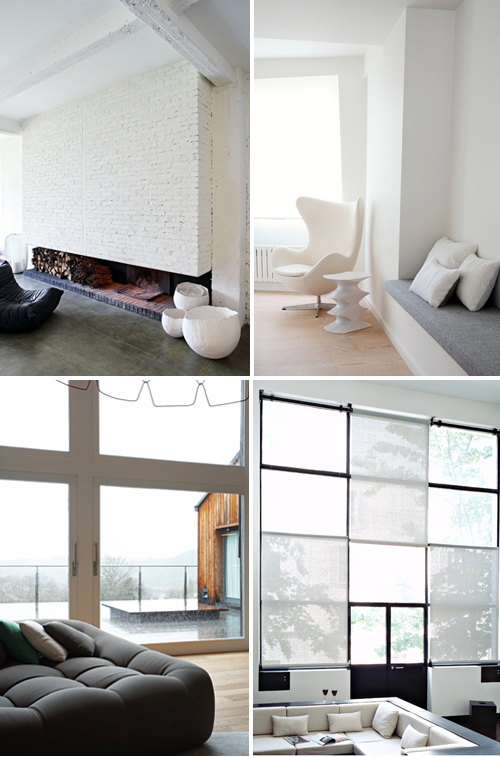 These inspiring interior images are from the portfolio of French photographer Yann Deret. I just love white.. I love these! I’m painting my walls white this fall. I’m thinking a bone-ish white will look good! It looks amazing! And it is comfortable for us! I wonder why we human beings find white so restful and soothing. It seems to be an innate response. Maybe like plants we’re drawn to light! I want that chair, it looks so comfortable!!! does anyone know about the couch in the bottom left picture? very clean and minimal style. i like it! 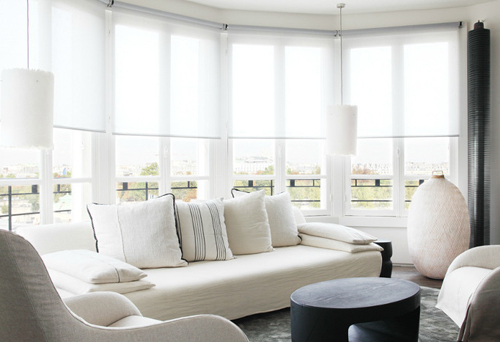 I really like the white window screens and the dark black cushion sofa!! !